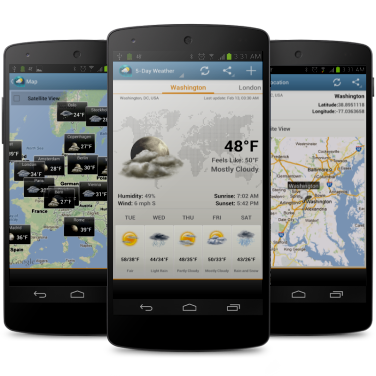 Your Quick and Accurate Weather App ! 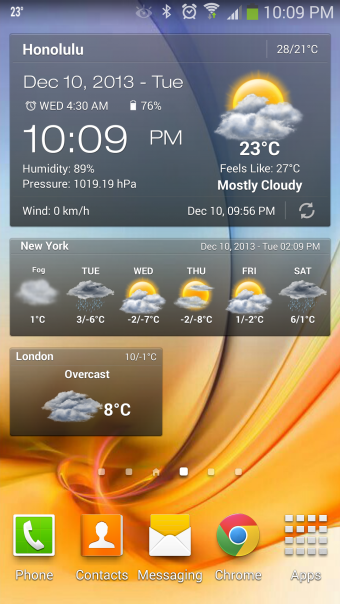 Multi-style home screen widgets with different sizes. Detailed current weather screen with 5-day forecast. 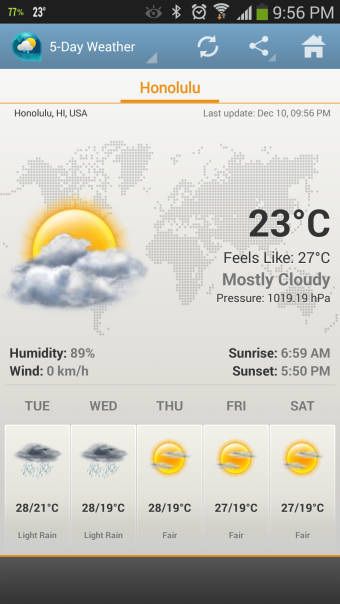 Hourly/10-day weather forecast screen and even more. A Comprehensive App with Many Features ! Multi-size widgets with different styles Designed For You ! It detects and tracks your location, either by GPS or Network. Up to 10 Locations ! 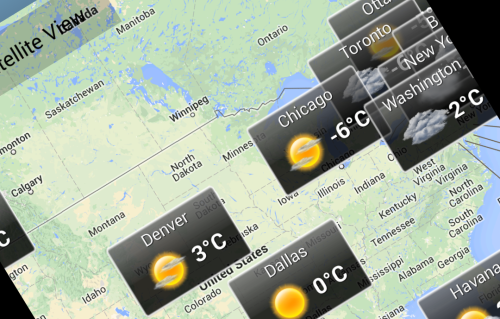 You can add up to 10 locations to check weather conditions. The app will notify you in case of severe conditions which you can edit. Do you like traveling? It will track your position. It searches your current position and updates weather. "My location" screen will show you your exact location. It uses GPS if enabled, or internet network. Add All Your Favorite Cities ! 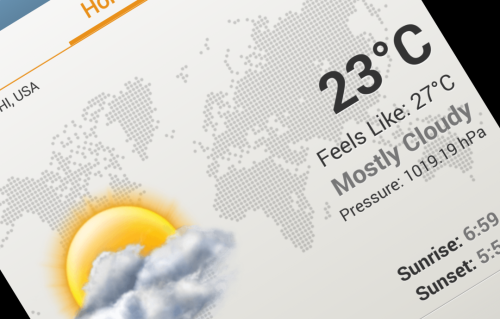 Do you like to check other cities weather ? It become so easy ! You can add up to 10 locations worldwide. It is easy to manage your added cities from "My Cities" screen. 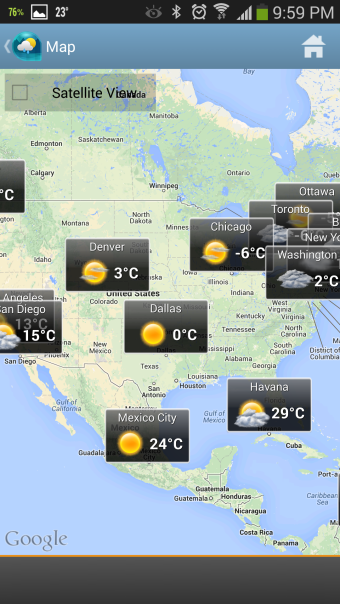 "Map" screen displays weather information for world cities. Once we get the severe weather condition We will notify you ! 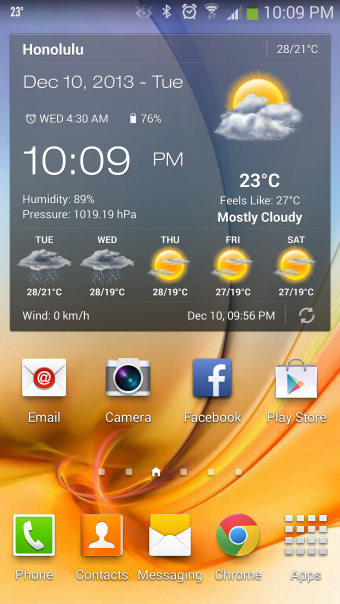 You will get a status bar alert in severe weather condition. The alert notifies you by sound and vibration too. You can disable alert, change or disable sound and vibration. Our designers have made a piece of art to make your phone different. Easy to install and configure. In Few Minutes ! Learn how to add and customize home screen widgets. 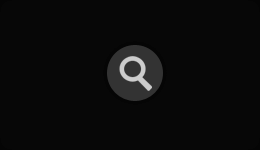 Take an overview on how to explore app sections, try app features and configure settings. What App Users Say About It ? We value our users feedback. We Support and Listen !
" Just what I was looking for! Great graphics and info. Works great with Android 4.2. Best weather application so far!! " " Very good and accurate for my location in New Zealand Excellent application with very accurate forecasts "
" Plenty of options and info for my taste. 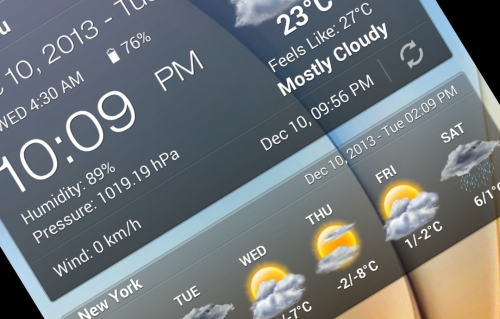 No more factory clock/weather widget and it's pretty accurate "